The best way to showcase your photos, especially if you are a professional photographer, is on a large screen TV with high resolution. Prints are great for one on one interaction. They are great for handing out when you want to market yourself at a get-together. But when you are addressing a group, be it small or large, a big screen TV has no alternative. But buying a big screen TV can quickly get confusing with all the technical aspects that you have to keep in mind. This article deals with the essentials you have to keep in mind when selecting your best TV to view your photos. The reality of today’s TV watching is that ultra-HD or 4K is a fact of life. Even though broadcast quality hasn’t reached 4K and live streaming content is still to become more readily available in 4K, it is a smart move to buy a 4K TV. HD is dead. If it is not dead already it will be in next few years. The least you can do is make sure your new TV is not going to be obsolete within a few years. OLED TVs use a technology that is fundamentally different from that of LCD TVs. The technology produces deeper blacks because of the fact that each pixel can be turned on or off based on what color is required to be produced and resultantly how much electricity is passed through. In other words, each pixel has its own illumination, unlike LCD where a given array of pixels are illuminated by a single LED backlight. That is precisely why OLED TVs can produce stunning contrasts which are impossible to be produced using other technologies, especially LCD. Compared to OLED LCD is a much older and (surprisingly still evolving) technology. LCD uses a LED backlighting technology where the entire LCD panel is divided into groups and then illuminated by LED light. This creates the unique problem of not being able to precisely control the illumination of individual display pixels. So when the TV needs to show true black it is unable to show it. This shortcoming has been improved over the years and these days high-quality LCD panels give comparable results. Notwithstanding the difference is apparent when you watch both the TVs side by side in a dimly lit (or unlit) room. Modern technologies such as Vizio’s XLED uses a form of this highly localized brightness control. This technology ensures a better performance than traditional LCD monitors. The results are comparable to OLED. The Sony A1E-Series is a true OLED display. OLED stands for Organic Light Emitting Diode. OLED panels are extremely pricey to make. They were initially made only by LG and now Sony has started to manufacture TVs using LG made OLED panels. One thing that you need to know is that you don’t need a curved TV because that is not necessary for photo viewing. Curved TVs are great aesthetically, but they do precious little in terms of enhancing the viewing quality. However, the fact that they cost extra to manufacture and own, they are more of an opulence than prudence. Next thing that you need to know about is the refresh rate. You are probably aware of the term from our discussion on best buy monitors for photo editing. But those who are not familiar with the term – refresh rate denotes how many times the screen refreshes every second. So a TV spec stating that the refresh rate is 120 Hz means the frame refreshes 120 times per second. A higher refresh rate ensures a smoother or natural viewing experience, especially when you are watching fast-moving scenes or where the subject is moving about quickly. However, it is a common practice to inflate the refresh rate. It is prudent to dig deeper into the specs of a TV before falling for the marketing mumbo-jumbo. To be honest, we photographers don’t need a high refresh rate, whether we are editing our photos and videos or whether we are watching them on a large screen. The need for high refresh rate is for people who play a lot of video/computer games mostly. But in anyways you should opt for a minimum refresh rate of 120 Hz. This is because you are probably not going to limit yourself to watching just photos on your TV. 120 Hz denotes that the screen refreshes 120 times in a second. The size of the TV will depend on the viewing distance. From a sufficient distance, there isn’t much of a distance between a full HD TV and a 4K TV. If you are the sort of viewer who wants to see the pixels, you will have to sit very close. Lower the resolution of the TV, further you have to sit in order to not being able to differentiate between the individual pixels. In other words, see a ‘smooth’ image. For example, let’s say that you want to buy a 65″ 4K TV. In that case, you need to sit at least at a distance of 5.5′ feet to be able to not distinguish between the individual pixels. For a full HD TV, you will have to sit much further away, around 8.5′. You might be wondering why for a higher resolution TV you have to sit up close. Those who have read our post on monitor resolution are probably aware of this. A higher resolution display packs in more pixels. So, the individual pixels are smaller. To see them individually, you have to sit closer. A low-resolution TV has larger pixels. As such you have to sit much further back in order to have a smoother viewing experience. Vizio E-Series 70″ see price and reviews on B&H. The Sony XBR-X850E is a 65″ UHD LED TV. It offers a maximum resolution of 3840 x 2160 and comes with LED panel technology. Which is, essentially, an LCD panel with a LED backlight. The monitor has a refresh rate of 120 Hz. The Sony XBR-X850E comes with four HDMI ports and 3 USB ports. A sufficient number of HDMI ports is essential for plugging in some devices. Dimensions (W x H x D): TV without stand: 57.3" x 33.1" x 1.8", TV with stand: 57.3" x 35.8" x 10.5"
This TV is much more expensive than the Sony XBR-X850E. And here is the reason for the higher price tag: the Sony A1E-Series has a resolution of UHD (3840 x 2160 pixels). The higher the resolution, the better is the amount of detail that you can see in the image. Plus, the fact that the Sony A1E-Series has an underlying OLED technology means you get superior blacks and stunning contrast as a result. OLED TVs are the best by far when it comes to picture quality and image contrast. And when it comes to OLED TVs, you just cannot ignore LG! LG dominated this scene till Sony started producing their OLED technology powered TVs albeit with OLED panels from LG. The C7P – Series is one of the most excellent OLED TVs that ever saw the light of day. We have two TVs from that same series. The first one is the 55″ model. The LF C7P-Series 55″ – Class UHD is a 55″ UHD smart TV. The resolution of the TV is 3840 x 2160. The OLED panel ensures stunning deep blacks and saturated contrasts. Plus, it has an upscale feature that can upscale lower resolution videos to a comparable 4K resolution. The TV has a host of other features including built-in Wi-Fi and Ethernet connectivity, four HDMI and three USB ports, HDR 10 and Dolby Vision technology. This is the second TV in the C7P-Series. This one is a 65″ smart TV also with UHD (3840 x 2160) resolution. The C7P 65″ TV comes with OLED panel technology which ensures deeper blacks and higher contrasts. There are four HDMI ports and 3 USB ports which ensure that you don’t have any shortage of ports to plug in an external hard drive or a streaming device. Dimensions (W x H x D): TV without stand: 57.2" x 32.8" x 1.8", TV with stand: 57.2" x 34.4" x 8.5"
Samsung has stepped on the gas by refining their QLED technology. This technology uses quantum dots to refine the quality of light produced by the LEDs. Hence the light produced is brighter and contrasty light compared to traditional LEDs. 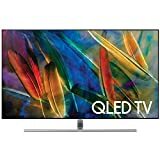 This technology is used in their QLED TVs including the Samsung Q7F-Series 75″-Class. Please note, this technology is still basically an LCD TV and not an OLED TV, but the output is comparable. This TV comes with a 4K/UHD resolution of 3840 x 2160. The TV has HDR10 support as well the Motion Rate 240 technology to ensure a much-reduced motion blur effect. 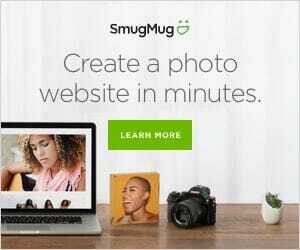 For image viewing, however, the final feature is not that important. Having said that, rarely would you be buying a TV just to watch images. The Samsung Q7F-Series 75″ comes with four HDMI ports and three USB ports to assist you to connect multiple devices. Screen mirroring is built-in to the TV. Vizio’s E-Series has been getting some rave reviews. Unless you are interested in playing high-end games and demand very high true refresh rates, the E-Series with its’ huge dimensions and 4K / UHD resolution is a good option. The display resolution of the device is 3840 x 2160. Vizio, much like a lot of other manufacturers, tend to overstate their refresh rate. The Vizio E-Series 70″ is rated at a native refresh rate of 120 Hz. Vizio clarifies this by stating that they use the Clear Action technology. This means that the actual refresh rate is somewhere around 60 Hz. The Vizio E-Series 70″has 4 HDMI ports and 1 USB port. The TV comes with built-in Wi-Fi and Ethernet connectivity. Additionally, the TV has screen mirroring technology built-in. Another feature of the TV is UHD upscaling. The TV can take average footage and then upgrade that into a near 4K / UHD quality. 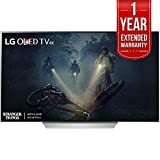 The LG B7A-Series 55″ is a 4K / UHD smart TV with a resolution of 3840 x 2160. It comes with the HDR10 and HLG HDR technologies. It also has screen mirroring built-in. This LG model is an OLED technology powered TV. 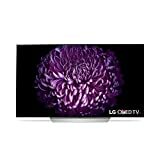 (LG is the worldwide leader in this technology). OLED produces more profound black thanks to its ability to turn off electricity to the required pixels which become utterly black as a result. There are 4 HDMI ports on the TV along with 3 USB ports. Dimensions (w x H x D): TV without stand: 48.4" x 27.9" x 1.9", TV with stand: 48.4" x 29.9" x 8.9"
Previous articleLearn from Trey Ratcliff with a Stuck in Customs Membership!